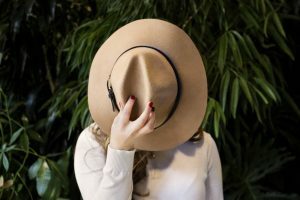 How to Easily Make Hidden Pins on Your Blog Now! Imagine this – your ideal reader finds a pin you worked so hard on! They click through to your site, to read a post you spend days perfecting. They are captivated! Until they run into the random Pinterest picture in the middle of your post & get confused, or worse turned off and leave your site altogether! 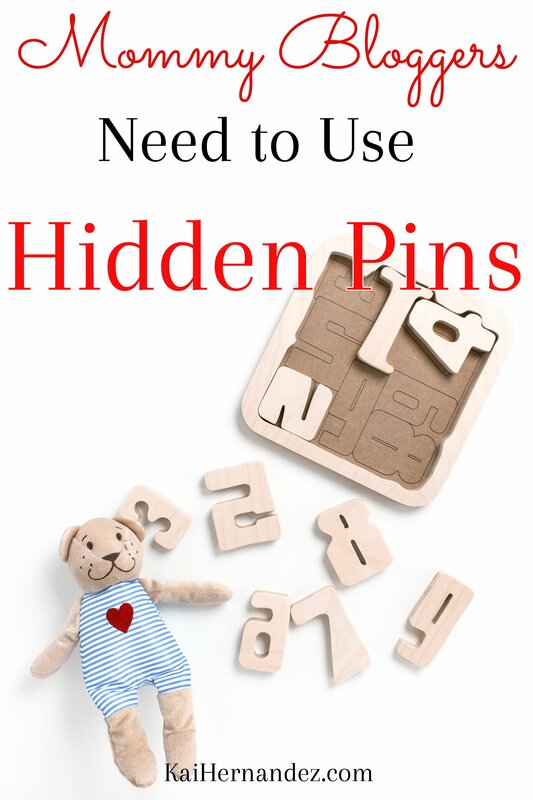 The solution is adding hidden pins on your blog posts! Have you ever noticed when you click on a pin from Pinterest, & on that post you see multiple styles of pins throughout the post. Doesn’t that just look a bit messy? It is so important to test out different pin styles because you never know which one will go viral! But you also want to keep your branding consistent on your post & not have a mess of pins show up. 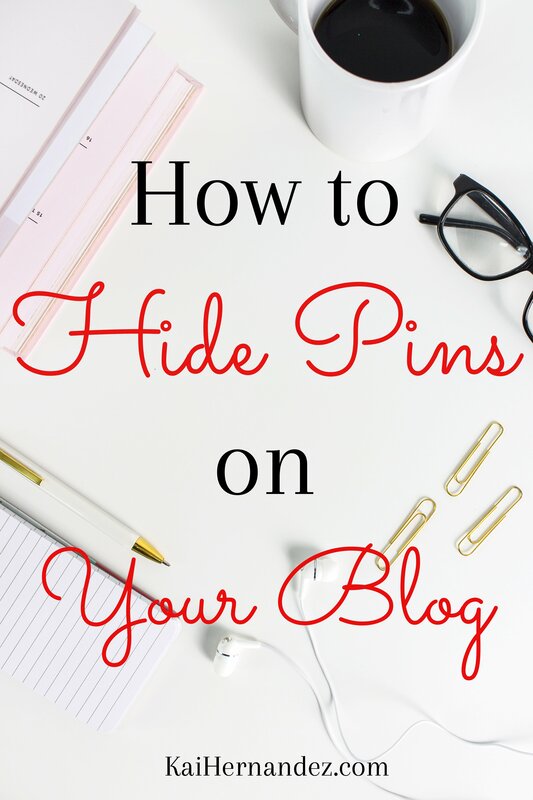 The key is to make them hidden pins on your blog! Even if you are completely & 100% new to the blogging world, you can get good traffic to your site using Pinterest! Pinterest is your new best friend! Getting started on Pinterest is actually pretty easy. All you need is to create a business account, & create some pins. 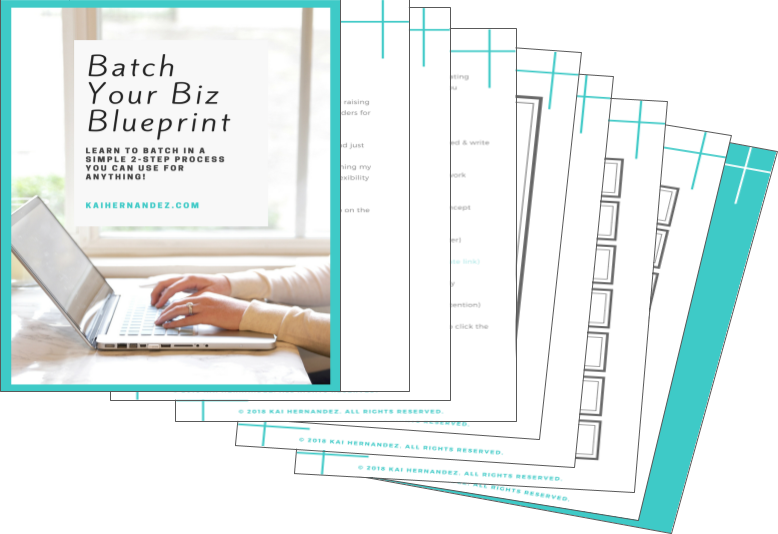 You can literally start getting traffic the same day, & it can lead to some pretty quick growth. Pinterest has literally millions of users, & you get to tap into all of those users simply by creating an account! 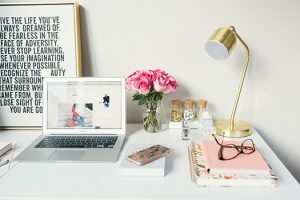 Of course, there are some tips & tricks to get better results, but you can literally use Pinterest as a free marketing tool when you just start out! Without Pinterest, how would you get traffic to your site? You would use other social media of course, but those are full of people you already know & have contact with. Your audience would not be growing simply by posting a new picture. On social media sites, you need to actively engage every day & most of the interactions REMAIN on that site. With Pinterest, the intention is to gain new information & to visit sites! Users from all over the globe go on Pinterest to learn something, they are expecting to go to a website to get that information, so why not let that be your site! 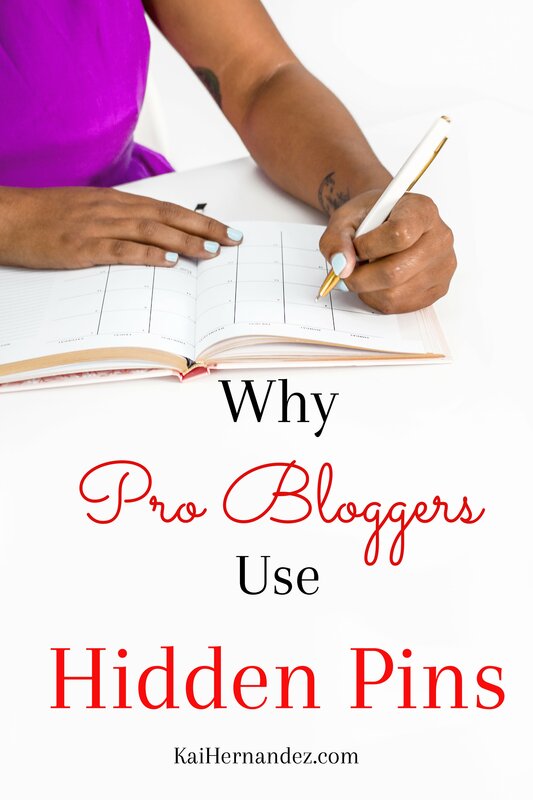 Why Hidden Pins on Your Blog are the Secret Sauce! The key to good marketing is to understand how your audience reacts to your pins. If you just have one pin for each blog post, you are most likely losing potential traffic. You want to create multiple pins for each blog post. Use different background, different working, even different fonts! Don’t be afraid to try something new, you never know, it could be the pin that goes viral! The drawback is that having these multiple pins show up when someone clicks through, can be a real turn-off! To avoid this I have seen bloggers put multiple pins at the end, causing many readers to leave before the comments (or worse the subscription box) & never engage. I have also seen bloggers spread the pins out throughout the post, which can be even more confusing as readers may think the post is over since they are used to seeing pins at the end! By creating hidden pins on your blog, you can make as many pins as you want per post, & in a variety of styles. Possibly the most important aspect, besides actual content your produce, is your use of images. You want to break up long sections of text to make it easier for your audience to digest. Have you ever clicked thru to a site, just to be met with a HUGE BLOCK of text? It was overwhelming, right? If you are anything like me (& probably 90% of the population) you probably either immediately exited out. 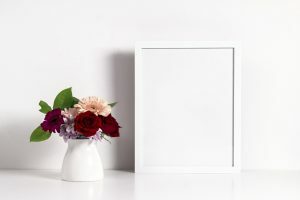 Unless your audience is looking for a scientific or news article, you are going to want pictures to help break up your text into manageable & bite-size chunks. It is important to use the right style of images to do this. The images you use on your site & in your posts can either engage a reader, or it can turn them off. You want to keep consistent branding on your site, & you want to keep your reader engaged & not thinking about Pinterest. This is why you NEED to have hidden pins on your blog posts! One of the secrets of Pinterest is that it really likes when users post real content. This means pinning directly from a site, instead of manually adding an image & pasting in the URL to create a pin. 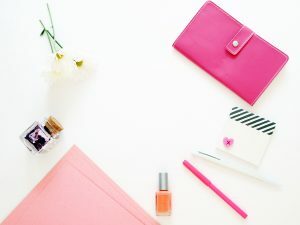 If you like to try out a variety of pin images & do not want this to impact your reach on Pinterest, your best strategy is to add all of them as hidden pins on your blog. Having these hidden pins on your blog posts will keep your post clean & still allow your audience to pin your pins directly to Pinterest, which will boost your reach! 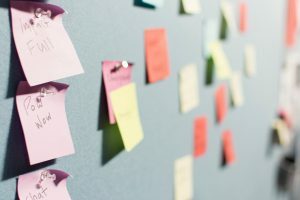 How Are These Hidden Pins on Your Blog? So what really is a hidden pin? It means that the pin will not appear while your post is being read, but it will still pop up when your audience hits thPinterestst share button! Cool, right? You will still add the pin to your post like you normally would. We are just going to add a little extra text (or code) to make your pin hidden. Coding is pretty much the hidden side of the internet. I like to think of coding as a hidden ‘internet rule’ that lets your browser know how the information should appear. It is code that makes our title bigger, our headers a specific size & font, and it allows us to bold information to help others know what is important. A code is pretty much a secret computer language that the internet uses to communicate exactly how the information from the post you create should appear to your audience when they view it. Don’t Worry! I’m NOT a Pro! Ok, so to get your pin to be hidden, it takes some coding. Scared yet? Don’t be!! I got you! I taught myself a little bit of coding & it really is not all that complicated, although trust me, I know it seems like it is. For basic coding, the #1 most important thing to know, is that there is a beginning to each code, & an end. You must have both the start & end code properly written for the ‘internet rule’ to work. Think of it like a sandwich. You gotta have a slice of bread on top to start, & a slice of bread on the bottom to end. Otherwise, it isn’t a complete sandwich! ? Start out like you normally would when adding a Pin image to your blog post. You can put it anywhere you like in the post since we will be hiding it! To add an image in WordPress hit “Add Media” then drag & drop the image. Pro Tip: Make sure you complete the alt text & create an awesome Pinterest description! See where it says “visual” & “text”? The “visual” option is the default, which shows you how your post will appear. The “text” option is the coded side of your post, it shows you all of the ‘internet rules’ that make your post appear in that specific way to everyone. You want to choose “text” so that you can edit how the image appears. When you click over to the “text” option, you will see a code similar to the one below. This is where the ‘internet rule’ will start to apply from. Anything before this will not be affected, just what’s after. You will enter <div style=”display: none;”> before the start of your image code. Feel free to just copy & paste the entire start code in red! If you do not copy & paste be very careful to get all of the characters & spaces exactly as shown. Even missing just one of these will make the ‘internet rule’ of the code to not work. This is where the ‘internet rule’ will end. Anything after this will not be affected. The only information affected by this code (to hide an image) will be the info between the starting code & the ending code. You will enter </div> after the end of your image code. Feel free to just copy & paste the entire end code in red! Make sure you click ‘Save Draft’ before you do anything else! You do not want to lose this code or forget to save it before you preview your post. Once you save your draft & hit preview! Or if it is a post you have already published hit “Update” & view the post. You should not see your pin in the post at all, but when you hit the Pinterest sharing icon or the Pinterest extension, your hidden pins should pop up! Once you hit the Pinterest share icon to check your hidden pin shows up, make sure to check your Pin description. You want to make sure that it is optimized for Pinterest because believe it or not, even when someone visits you from Pinterest, they make Pin directly from your site as opposed to just repinning the original one that they clicked thru from. You want to make sure that each & every pin is working for you, especially if it is your main source of traffic. Usually Pinterest pulls from the Alt Text of the image, so if you aren’t seeing a good Pin description, make sure you go back to the image & edit the Alt Text. My Pin Still Shows Up in My Post! If you have any issues with the pin being visible, go back to the “text” side, & made sure you copied & pasted the code exactly as it was in this post in red. Even being slightly off will make the ‘internet rule’ not apply. Also, make sure you have both the start code & the end code around the image coding on the “text” side of your post. If you have multiple hidden pins, try placing the code around each one. After that, click over to the “visual” side before hitting “save” & made sure they do not appear there. If you have any issues with the pin not showing up in Pinterest sharing, delete the entire line of code & add the image again, & copy & paste the coding again around the image. There you have it! 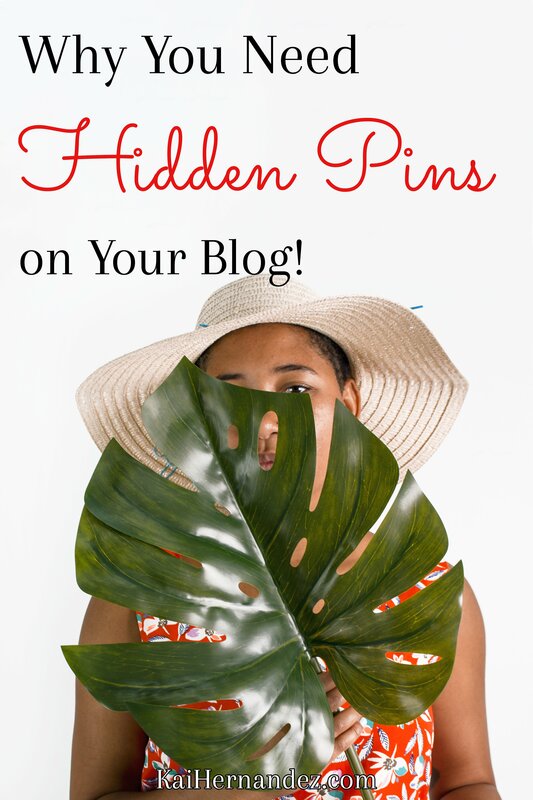 Now you know the super easy steps to add hidden pins on your blog! This is the best way to test out multiple styles of pins without losing traffic. It will save you from confusing your audience with multiple pins throughout your post. And it will help you build a more consistent brand! Are there any other Pinterest secrets you would like to know about? Leave them in the comments! You shouldn’t put our description in the alt text. Pinterest penalises this. Alt text if for visually impaired people to be able to know what the image is about. Data pin description code or your plugins for sharing if you have them should be used for the descriptions. You’re right that alt text is for the visually impaired, and it also is what Google uses to pull your images up in search results. Pinterest has not stated that they penalize the contents of the alt text, and it is where Pinterest automatically pulls data from, as opposed to the description or caption. Using a pin description in the alt text won’t hurt the pin, but it might not be the best for seo purposes for the website. I just tried it and it didn’t work. Any tips? I copied and pasted your code, so misspelling isn’t the issue. And I’m not new to coding, so I should be able to figure out the problem, haha. Hey Heather! I’m so glad you decided to try adding hidden pins to your blog! WordPress can be a little moody sometimes with the code. If you are trying to hide multiple images at once, make sure the code starts & ends around each & every image. The biggest thing is to click back over to the “visual” side before you hit save, once you have entered the code on the “text” side. WordPress won’t always save the code if you click save while still on the “text” side. Oh man! Thank you for posting this. I’ve been wondering how to do this for so long. I prefer to keep my blog clean and simple; few distractions. I’m definitely going to use this. I am so happy to hear that! I am right there with you, I like to keep my posts clean & clear. Having my pins show up felt like such a distraction, so it took some investigating ?️‍♀️, but I’m so glad I was able to find this out & share it with you! I will just be looking through pins and then accidentally hit something and hide a pin! The thing is, I cant figure out how to unhide the pin. Is there a simple way to do this? It sounds like you are using a feature Pinterest recently came out with. I have actually accidentally done it myself! It is pretty easy to apply too much pressure when scrolling thru the Pinterest app & activate a “hidden” menu for the pin itself. Hi Kai! Thanks for this. It’s something I’ve been trying to do but can’t seem to get it right. I’ll use your tutorial and see how it goes. Kai, wonderful job of explaining how to hide pins. I get overwealmed inf a blog is too “techy”. Thanks for sharing. I love that there are simple tricks like hidden pins that are easy to do & that help our sites grow!